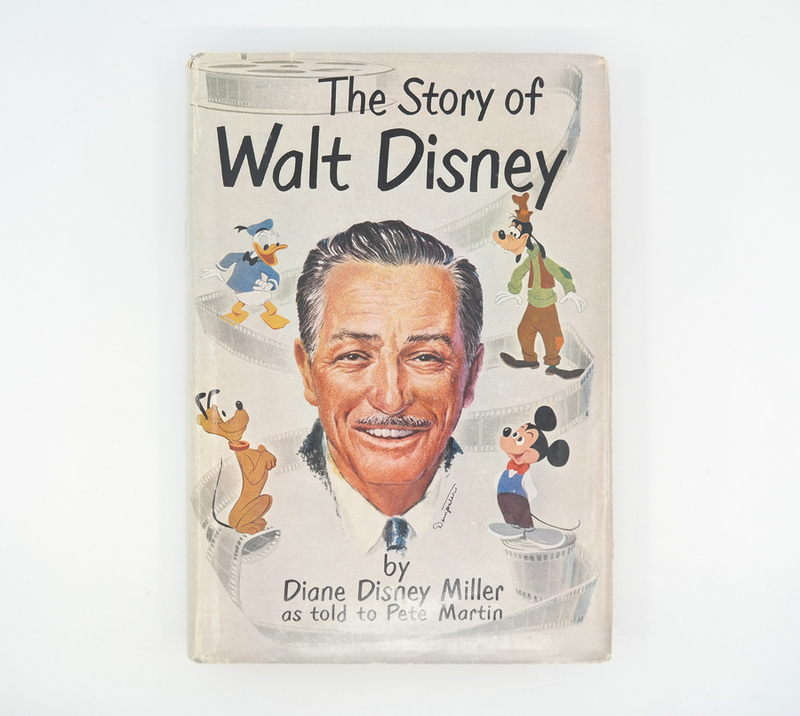 This is a first edition copy of the 1957 book "The Story of Walt Disney," written by Diane Disney Miller, Walt's daughter. 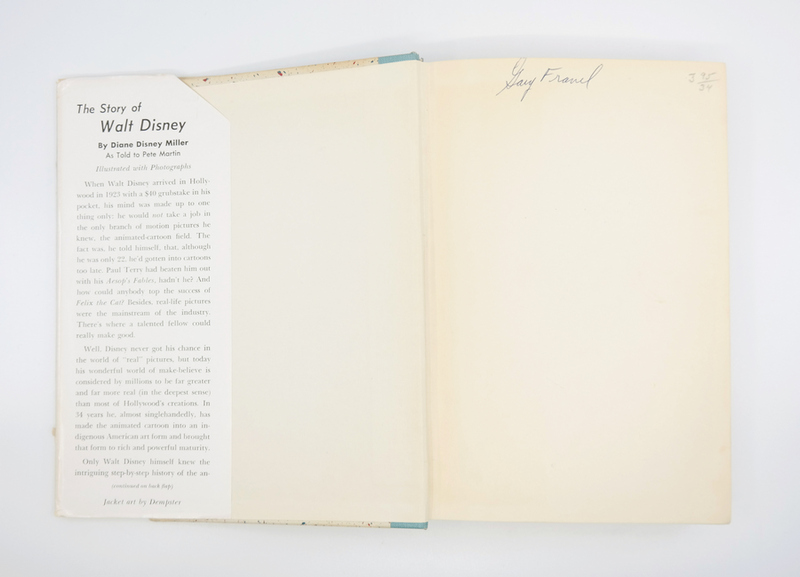 The book is signed by Gary Fravel, a Disneyland employee whose love for the "Disney Way" while operating attractions let him to create a behind the scenes operational video of The Jungle Cruise. 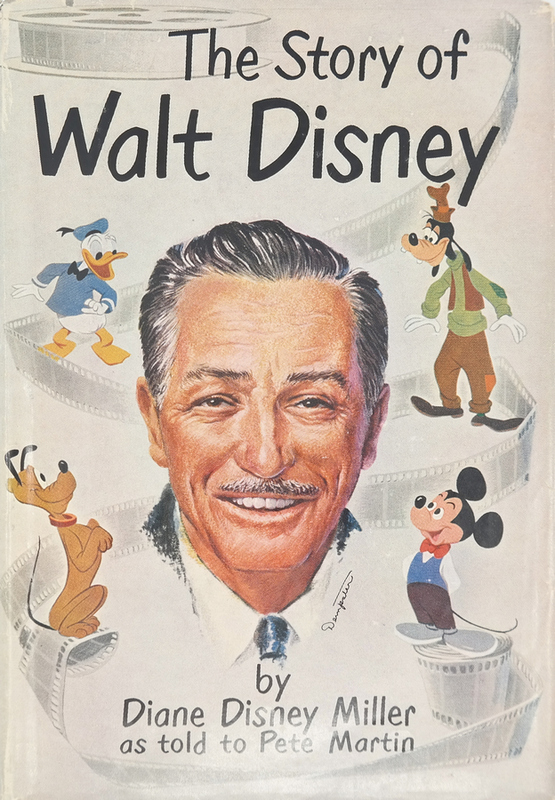 Gary's video was seen by Walt, who was inspired by the video, and let him to honoring Fravels with the unique role as the head of Disney University, training future ride operators and park supervisors in the "Disney Way". 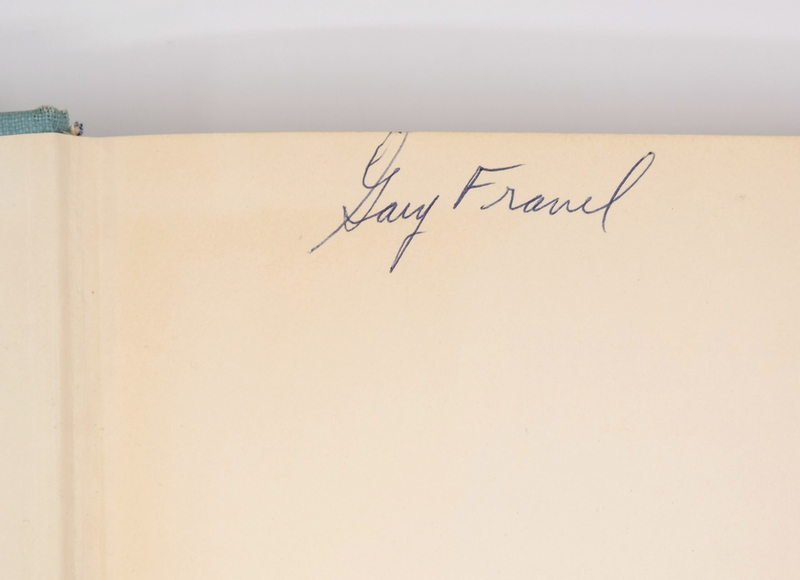 The book is 247 pages long, measures 8.5" x 6" x 1.25", and is in good condition with edge wear on slip cover from handling.